Joshua Kitchens, Director of Archival Studies and faculty member at Clayton State University, was challenged with engaging his students to enable him to create tailored lesson plans and more relevant online classes. Enter POPin. 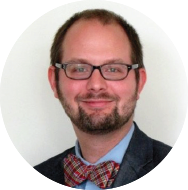 Josh Kitchens is the Director of Archival Studies at Clayton State University. His course load is primarily comprised of online sessions with second-year graduate students finishing their master’s degree in archival studies. Determined to adequately prepare his students for full-time careers as archivists, Josh used Qualtrics surveys to dig into what his students were thinking before class, so he could tailor a custom lesson plan that would be relevant for them. However, this traditional survey tool was not engaging his students or garnering the participation he was hoping for. After learning about POPin, Josh decided to run a few test POPin sessions with students to see if they would engage differently with this platform. As students engaged, he realized the potential the tool could have to source questions and spark discussions prior to online class sessions so he could build more relevant lesson plans. Josh leveraged the tool at the beginning of the spring semester with his students to discover what students hoped to gain from taking the course. Their feedback validated that his lesson plan was on target while giving him ideas for how to tailor specific areas of the lesson plan. Later in the semester, he leveraged POPin to more specifically source discussion topics for an upcoming class session, asking, “What types of questions do you want us to address during our Week 008 Discussion on Reference, Access and Outreach?” With the POPin results in hand, he facilitated a discussion that was meaningful and relevant to the students, further building their trust that he was truly interested in making sure their needs were met. Leveraging POPin throughout the semester helped Josh uncover specific gaps in student comprehension, enabling him to tailor discussions in the most relevant and meaningful way. As a result, he experienced an increase in student engagement and classroom participation. More importantly, he had higher confidence that his students were as prepared as they could be to take on archivist positions upon graduation.